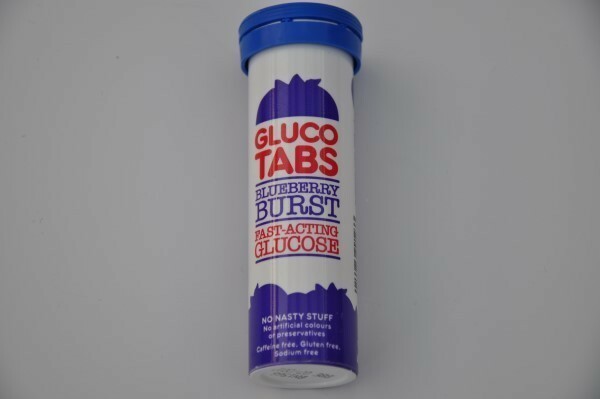 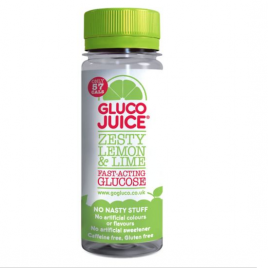 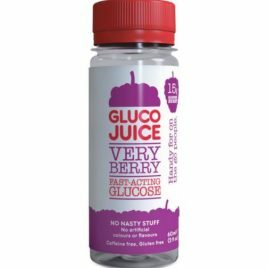 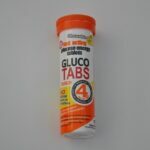 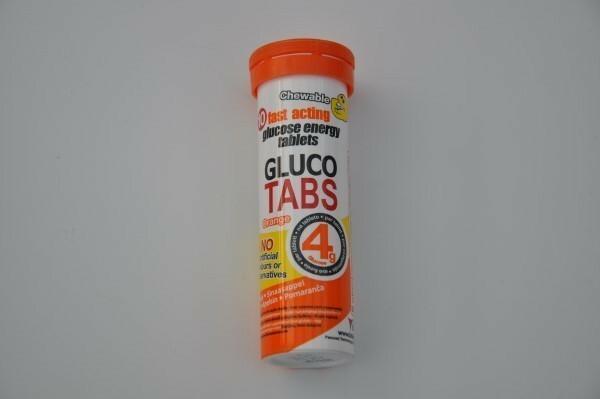 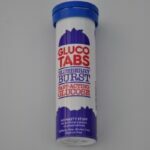 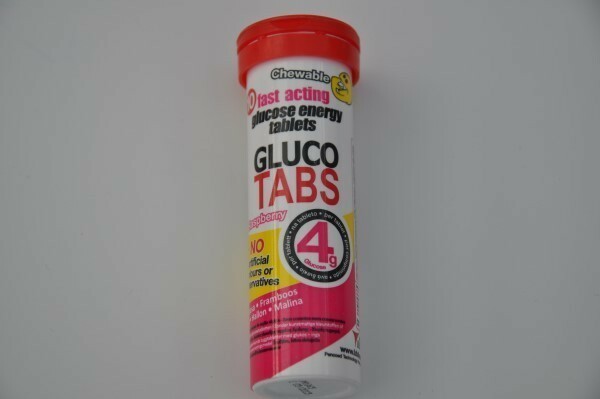 Glucose tablets are taken orally by chewing throughly before swallowing. 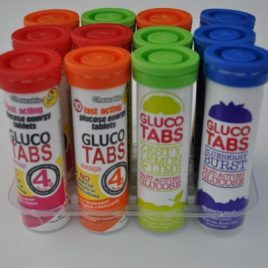 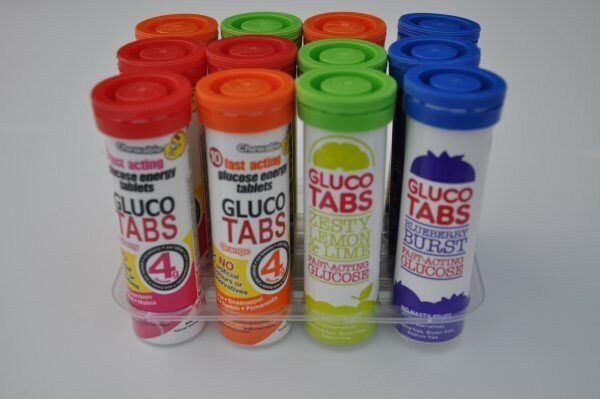 Each tablet contains 4g of carbs. 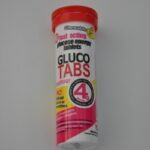 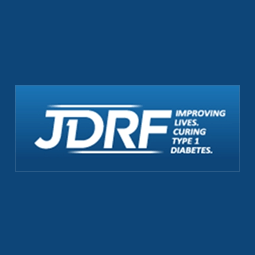 Take the number you need to initially treat low blood sugar. 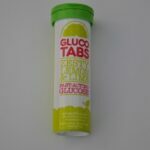 Sports Enthusiasts – recommended to take 2 tablets 10-15mins prior to participating in high endurance activity lasting for 30mins or longer, continue as required every 30mins. 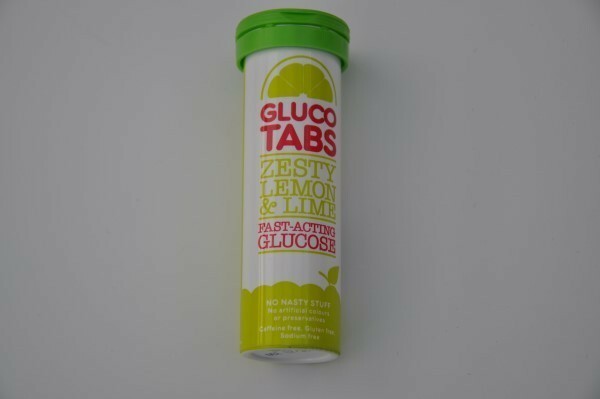 Dextrose monohydrate (93%), maltodextrine , carrier (magnesium salts of fatty acids), natural to identical flavour, edible acid (citric acid), vegetable fat.